2002 CHEVY BLAZER! 4WD, GREAT SHAPE. CD POWER LOCKS & WINDOWS, HARD TO FIND ONE NICER! 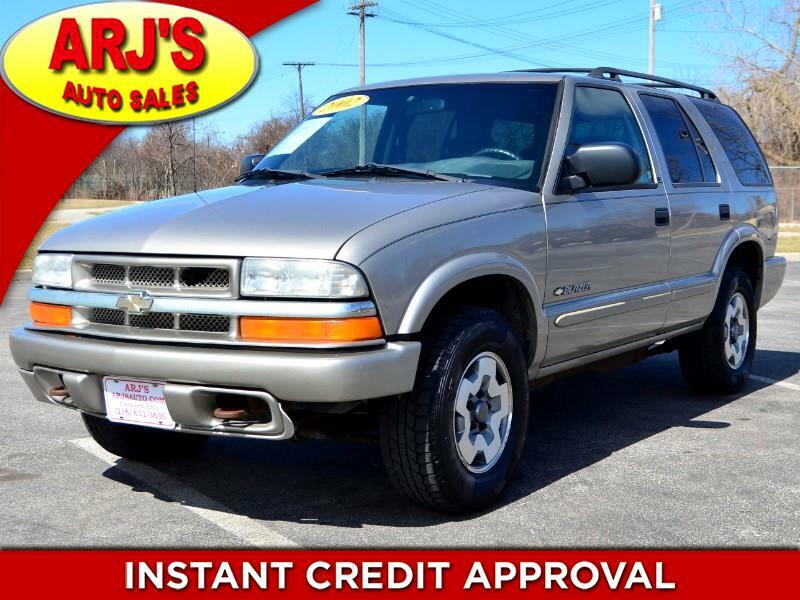 ARJ'S AUTO SALES IS PROUD TO PRESENT THIS 2002 CHEVY BLAZER 4WD. A PEWTER METALLIC EXTERIOR OPENS TO A VERY CLEAN CHARCOAL CLOTH INTERIOR. EQUIPPED WITH POWER WINDOWS, LOCKS, MIRRORS, AND CRUISE. THE 4.3L V-6 ENGINE GIVES YOU AMPLE POWER. THE SHARP ALLOY WHEELS HAVE GREAT TIRES. Message: Thought you might be interested in this 2002 Chevrolet Blazer.